Laissez les bon temps rouler and grab your dancin’ shoes! If you’ve been to any event in South Louisiana you know anytime there’s music there’s dancing. And trust us, there’s never any shortage of music! No matter the dance floor, be it your typical wooden floor, a concrete slab and even a patch of green grass in front of the stage, us Cajuns will find a way to dance on it. 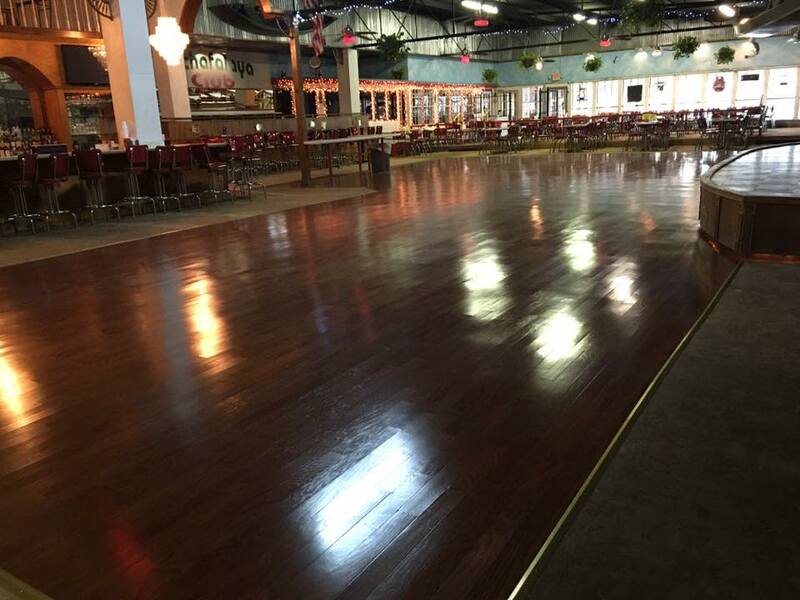 If you’re an experienced dancer, or if you want to learn the basic two-step, Lafayette has a dance floor just for you. It’s not about how well you can move, but the fun you have while moving to the music! 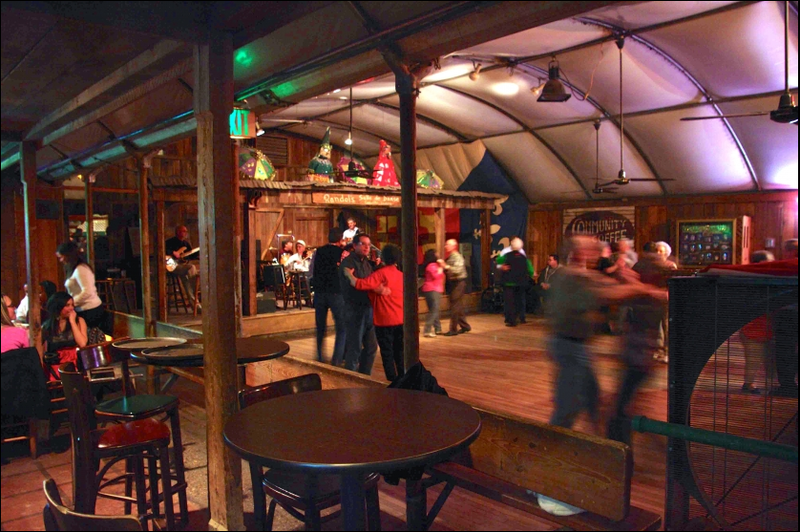 We’ve compiled a list of dance halls that host dancing events, dance lessons, and of course, live music. Don’t see your favorite dancing spot on the list? Click here and let us know. Glide Studios offers dance instruction, exhibits, house concerts & dances. 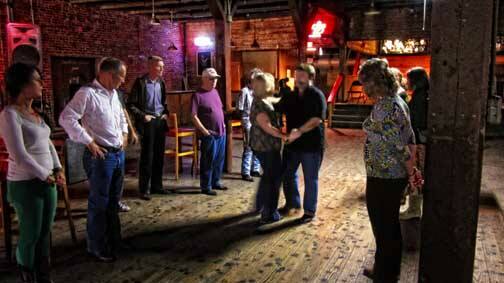 If you want to do a little Cajun dancing, jitterbug, Swing dancing or Latin dancing Glide is the place to be! Stay updated with events and classes by following their Facebook page. Dance the afternoon away to live music in the Vermilionville Performance Center every Sunday afternoon from 1-4 p.m. Admission is $10. For a list of weekly performers click here. 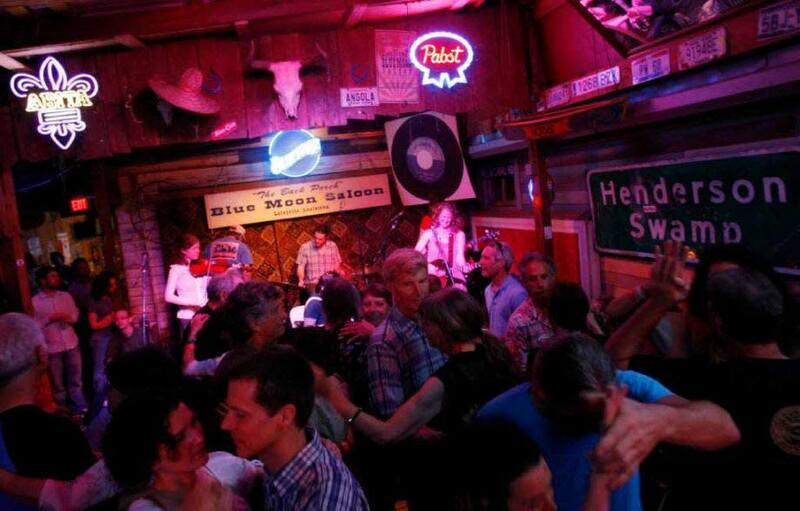 If you’re wanting some down-home Cajun music or something a little different, boogie on over to Blue Moon Saloon. They have live music all week long! 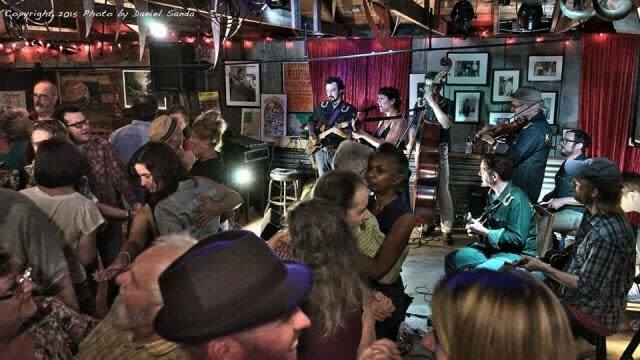 The weekly, acoustic, back-porch, Cajun Jam on Wednesdays starts at 9pm and is a great place to dance, listen and meet people from all over the world. For a list of weekly performers click here. 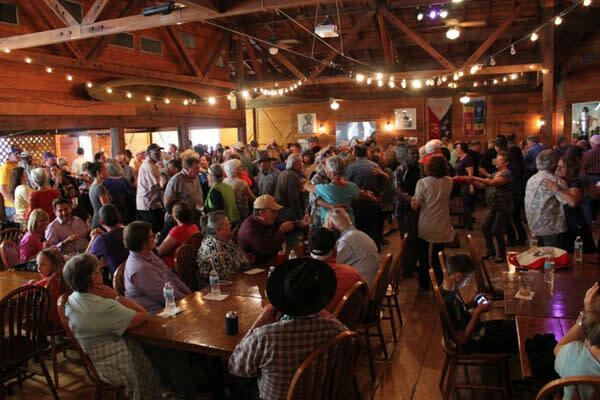 Located in a 100-year-old building that was formerly Broussard’s Feed and Seed Store, enjoy live music and a large wooden dance floor. To find out who’s playing and when click here. Learn some new moves and listen to live music Thursday nights at 6:30 p.m. for Grooves on the Green at the Warehouse! Crawfish from Hawk’s and pizza from Olympic Grove Pizza will be available for purchase during the crawfish season. The night begins at 5 p.m. and music starts at 6:30 p.m.! Click here for more event information and to check out who’s playing. 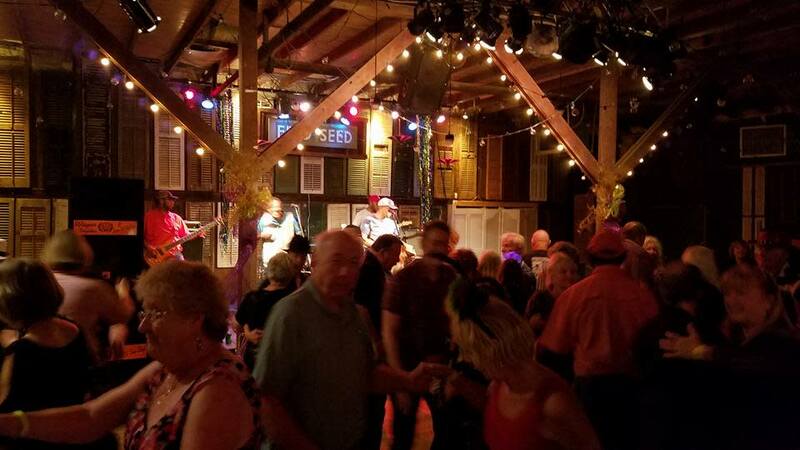 Dance the night away and enjoy Zydeco and Swamp Pop music on weekend nights at The Atchafalaya Club! Check out the band schedule by clicking here. 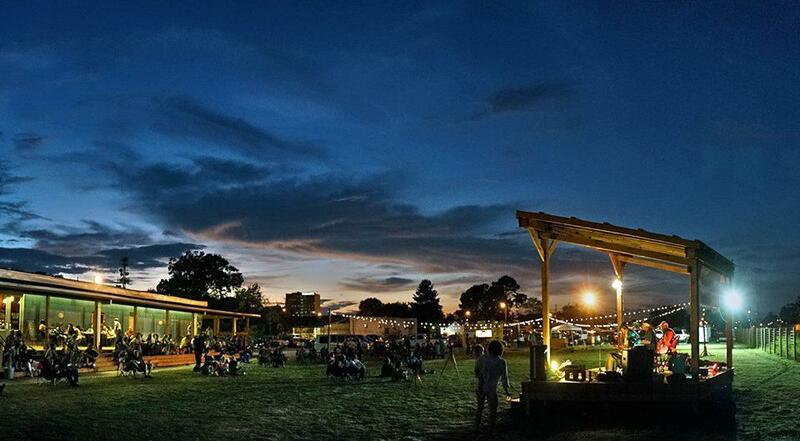 Head on over to the levee in Henderson and enjoy live Cajun and Zydeco music every Sunday afternoon! This dance hall caters to experienced dancers and even to those who have no experience at all! The customers, staff and even the musicians will make sure everyone gets a chance to move on the dance floor at Whiskey River. To find out who’s playing and when click here. Set your alarms, and start your day off dancin’ cause this party starts at 8am! 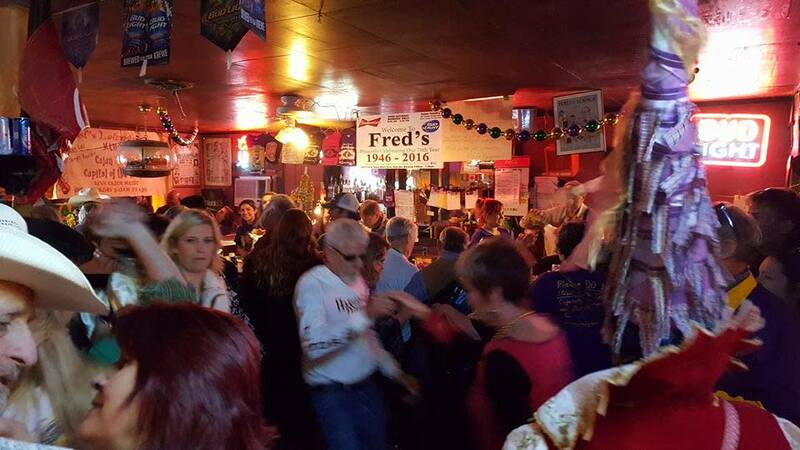 Fred’s in Mamou is open every Saturday only from 8 a.m.-12 p.m.! Wake up Saturday with a drink in hand and your dancin’ shoes ready! Want a sneak peak of what Fred’s is like? Listen to the live music on 92.5 KVPI AM every Saturday morning! See pictures and reviews by clicking here. Buck & Johnny’s in Breaux Bridge has become the place to be on Saturday mornings! Get your blood pumping with live music every Saturday starting at 8am. 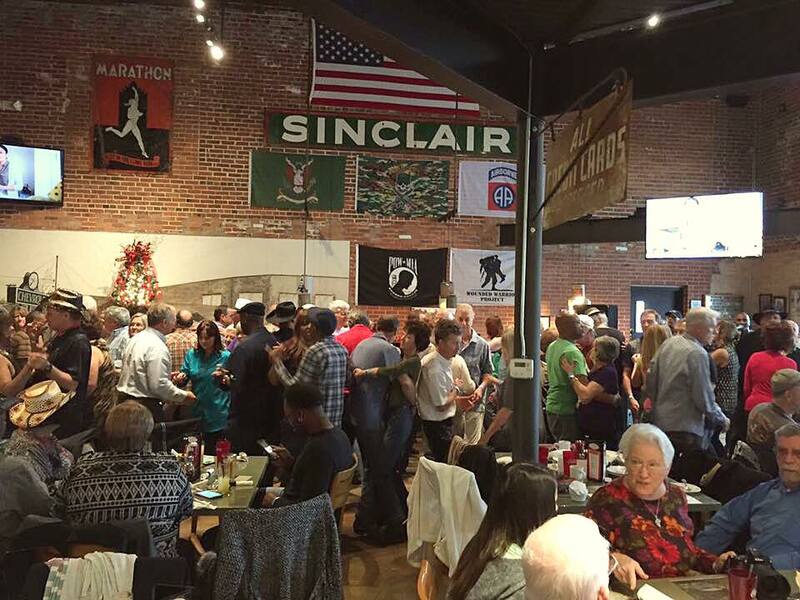 It’s the perfect place to enjoy a Cajun breakfast, listen to local music, and dance with your friends and family! See a schedule of who’s playing by clicking here. Enjoy live music, dancing, food, drinks and a great “Artmosphere”! With live music every weekend and most week days you can grove to any kind of jam. The music here varies from Cajun Zydeco, Rock, Bluegrass, Pop, Soul and everything in between. To find out who’s playing check out their Facebook page here or their website by clicking here. Visit Randol’s for live music every night of the week! If you’re in town for a couple of days or you have an envie (desire) to dance the night away, Randol’s is the perfect dance floor for everyone! Visit their website to see the band schedule and go pass a good time! Can’t decide what kind of music you’re wanting? At Grant Street Dance Hall you have two options! Go to the saloon side or the club side to have your pick! With a huge dance floor, you can spin your partner round and round all night long! To check out the schedule of events click here. 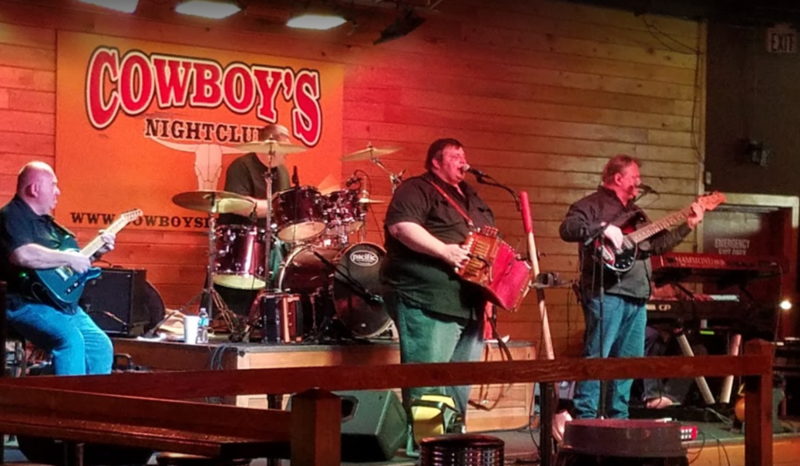 Every Thursday, Friday and Saturday night Cowboys is playing live music from 10pm- 1am. 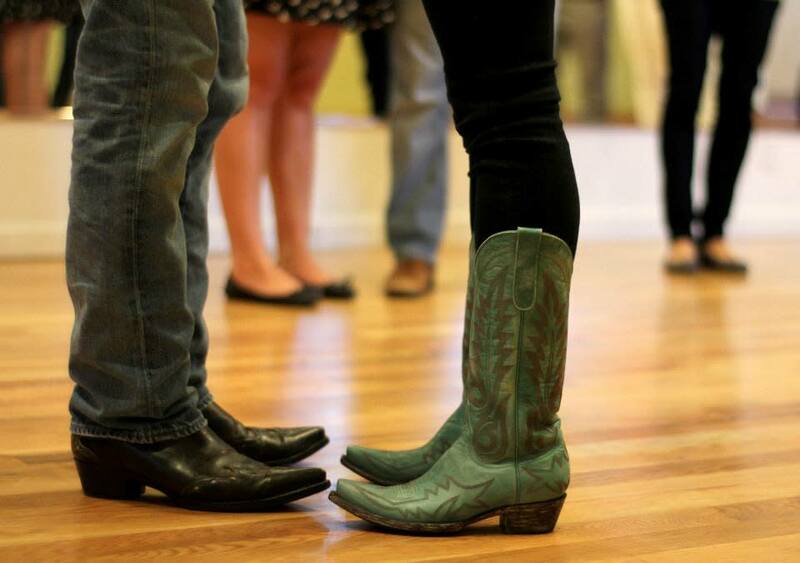 Wear your cowboy boots and move around the floor with locals who’ll teach you how to two-step and line dance all night long! Check out who’s playing here.